Thanksgiving break is just around the corner. Here are a few ways to celebrate this weekend before packing your bags for home. Take a break from the studying and head to the Pour House for a trivia night. The Economist magazine is hosting the “highbrow trivia,” which will include questions about current events, history and pop culture. The event starts at 7 p.m.
See trumpet legend Doc Severinsen perform at Lisner Auditorium as part of the Jazz Heritage Series at 8 p.m. Free admission. 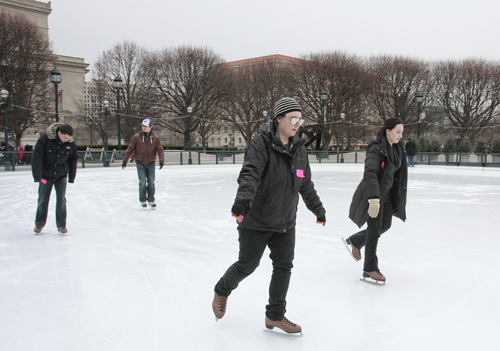 The ice skating rink at the National Gallery of Art is scheduled to open for the season at 10 a.m. Students pay $7 for a two-hour session and $3 to rent a pair of skates.